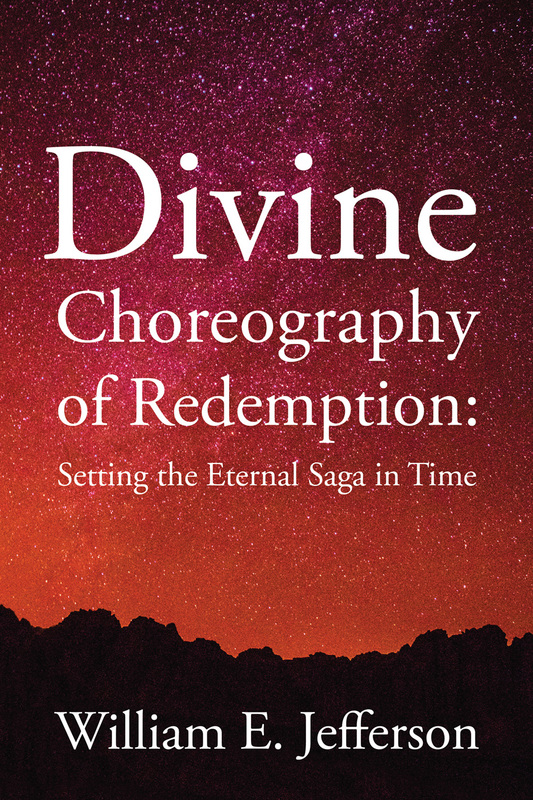 Online PR News – 26-October-2018 – New York, NY – William Jefferson’s Divine Choreography of Redemption: Setting the Eternal Saga in Time offers a deeply moving portrayal of the meaning of faith in a world wistfully enchanted by the prospects of artificial intelligence and algorithmic command. The 162-page novel was published by New York publisher Hybrid Global in May of this year and quickly picked up five-star reviews from Indie Reader, Readers’ Favorite, and Midwest Book Review. SAN FRANCISCO, California, September 12, 2014—Lucifer’s unprecedented speech to the netherworld is for real. It’s found in chapter twenty-one of Messages from Estillyen: A Novel of Redemption and Human Worth. For the rest of the press release, read here. Norton Shores, Mich., July 23, 2014—Port Estillyen Productions, publisher of Messages from Estillyen: A Novel of Redemption and Human Worth, announces an essay contest on the characterization of Lucifer in modern literary form. Messages from Estillyen contains ten portrayals in which Lucifer imaginatively appears as a real-time observer of well-known Scripture narratives, such as the Transfiguration and the Crucifixion of Jesus Christ. Lucifer has much to say in his angst-ridden diatribe against God in his speech to the netherworld. Titled simply “The Speech,” Lucifer’s unprecedented address is found in chapter twenty-one of the novel. Contestants are asked to write a 300-word essay based on Lucifer’s speech. Entries will be accepted until October 31, 2014, and the contest is open to everyone 18 years of age or older. Prizes range from a full-color map of the Isle of Estillyen to a Kindle Fire for first place. For more information, contest rules, and to download “The Speech,” go to http://www.estillyen.com/lucifers-speech-essay-contest/. Messages from Estillyen is unlike any novel available on the market today. In it, author William Jefferson addresses God’s messaging of redemption throughout the ages from a vantage point that drives fresh perspective to the very marrow of human worth. Messages from Estillyen received a coveted starred review from BlueInk Reviews, which says in part, “The author’s writing is skilled, poetic, and reminiscent of the classical period. Through the author’s creative portrayal of Lucifer, juxtaposed against selected Scripture narratives (presented as dramatic readings given by fictional monks on the Isle of Estillyen), Jefferson has managed to offer a fascinating perspective on the subject of redemption and human worth. Messages from Estillyen is available for purchase at Barnes & Noble and Amazon. A free chapter is available for download at http://www.estillyen.com/messages-from-estillyen-chapter-one-lunch-at-grims-park/. I’ve written about the removal of Satan from the new movie ‘Son of God’. We hope you will read and enjoy it (link below). If you do kindly click, Like, Tweet, and pass it along! We’d like to see this go Global! It would also be great to have your comments on the Time site. Time Article: Is Satan Dead? Discount on ‘The Point’ for a limited time only! The Estillyen team is proud to announce that we are offering the eBook editions of The Point for a discounted price of $1.95! This sale will only be available for a limited time, so purchase your copy today! DALLAS, Texas, Oct. 3, 2013 – “The Point: The Redemption of Oban Ironbout” is unlike any fiction available on the market today. Its messages of redemption and the power of words seem to belong in the work of C.S. Lewis or J.R.R. Tolkien. Jefferson wrote 12 “readings” based on Scripture narratives. These readings, found in their entirety in “Redemption: Twelve Readings from the Monks of Estillyen,” focus on how God messaged redemption to the world. While Jefferson originally intended these readings to appear in a short theology book, he realized there was a greater story to be told. The voice that emerged through Jefferson’s writings seemed to belong to a different era and a unique setting. He began to imagine a place of reflection and discussion overseen by an order of monks grappling with the same messages. Through the characters who surfaced in his imagination, Jefferson was able to say far more than he could ever hope to say without them, and his nonfiction theological treatise was soon being delivered through a fictional storyline. “The Point” tells the story of newlyweds Hollie and Goodwin MacBreeze, who travel to the Isle of Estillyen searching for meaning. There they encounter a magical world full of hope and timeless truths shared by an ancient order of monks. For more information on “The Point” or “Redemption,” please visit http://alarryross.com/newsroom/the-point/. Note to Editors: For a review copy of “The Point” or an interview with William Jefferson, please contact Katie Martin of A. Larry Ross Communications at 972.267.1111 or Katie@alarryross.com. The entire text of this piece can be found here.